Take a close look at this very clean 2013 Cadillac Escalade that just arrived here at Hometown. Just freshly serviced and ready for delivery. This Escalade is equipped with remote start, 2nd row bucket seats, navigation, OnStar, heated and cooled seats, 3RD row seating, XM Radio and much much more. It drives and handles perfect and it's gorgeous inside and out. Clean Carfax with no issues so you can buy with complete and total confidence. Powered by the proven Vortec engine so you can expect class leading handling and performance. 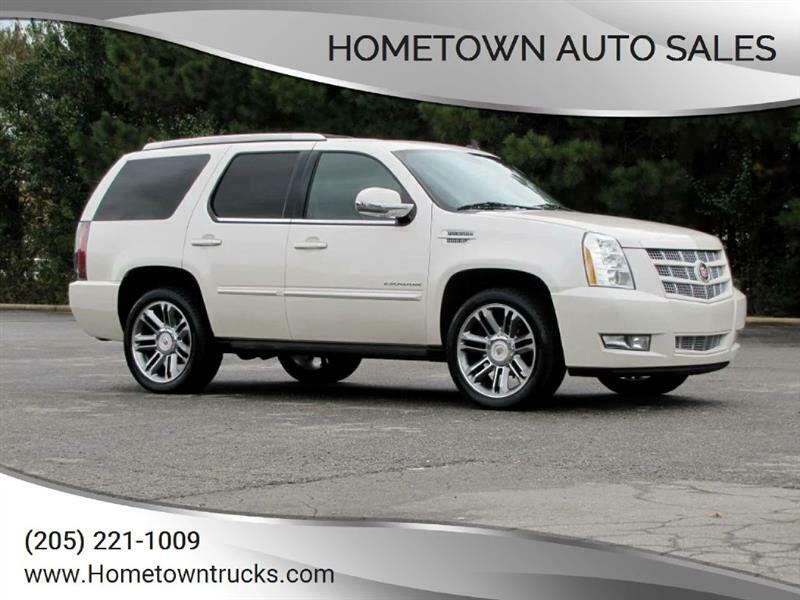 Make the short drive to Hometown and take this Escalade for a test drive today. You will be impressed. We offer bank and credit union financing here at the dealership with ZERO DOWN and LOW credit union rates, so you can drive this Escalade home today. Call Matt at 205 269 1297 or Ed at 205 275 9754. You can reach the office at 205 221 1009. Thanks! !